Flomate Mains Boost Extra 100 offers a simple, patented solution to the problem of low or intermittent mains water pressure without the need for a cold water break tank. Designed to be connected directly to the incoming mains, Flomate Mains Boost Extra 100 is fully compliant with UK water regulations. 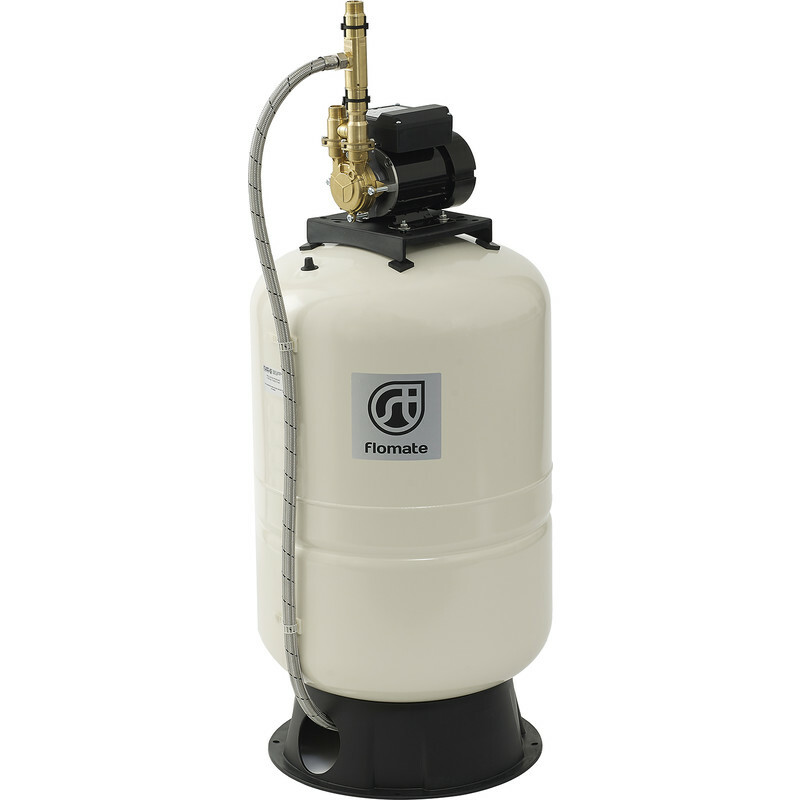 Flomate Mains Boost Extra will deliver up to 18 l/min flow at 3.0 bar pressure to multiple outlets within the property, up to the preset cut-in limit of the 100 litre pressure vessel, at which time the system will deliver 12 litres/minute until demand ends and the pressure vessel recharges. Stuart Turner Mainsboost Flomate Pump 100L is rated 5.0 out of 5 by 1. Rated 5 out of 5 by Glenn9362 from Booster pump Great price and fast delivery, easy fits, my customers were very happy with the job.